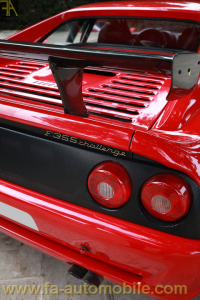 One of the 109 Ferrari F355 Challenge produced. This copy was delivered nine in France by Pozzi and has never competed. It was registered immediately after its first owner acquired it. Book of maintenance, invoices and major revision carried out with distribution, nothing is to be expected. Available immediately in French papers.